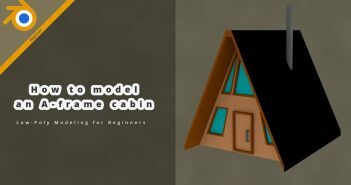 The modeling cloth addon is available. It's very experimental but it's a lot of fun to play with. I made a demo video of the current feature set. That is incredible! This feature set is very similar to something like Marvelous designer.. Thanks so much for sharing. I'm sure I'll be able to use this a lot. Amazing work, Rich! Thanks for sharing. I can see lots of potential for using this in my work. It seems amazing! Is it GPU accelerated or at least fully multi threaded? People keep asking about collisions. I do have a simple self-collision working (it's not great) and you can use it with the vertex weight pin to make parts of the mesh solid. I'll set aside some time for fully developing collisions. I currently don't account for object transforms so apply location, rotation and scale to your objects. It isn't multi-threaded, it's just really lean and I'm using Numpy which is very fast. There is a lot of room for performance boost still. I'm interested in feature requests! about those collisions, The self-collision system you have right now is already pretty good. do you have plans to get the cloth to collide with other objects? 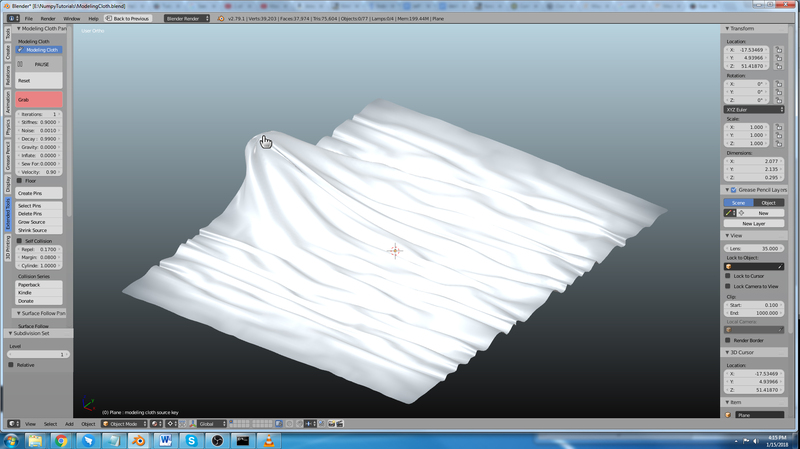 this would make it incredibly useful for say, draping cloth over other models etc. Is it possible to export a clothing item from this/blender into a website ? as a 3d model , like sketchfab , except it's also interactively jiggly when people move the dresses and clothes around and navigate . I have found that with certain Java Physics Engines you can simulate cloth in real time online, but I'm hoping there's a way that doesn't require much coding knowledge . That looks amazing, Thank you for sharing with the community. Bug-free and with fixes this could replace Soft Body + Cloth modifiers. It may even be made a supported feature. I'm impressed. Ladies and gentlemen, the table is made. I'll try to add another video today. 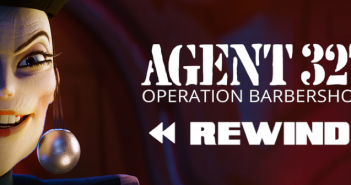 Well this is the best addon I've seen in months. Congratulations! This will help so many people. I have a question. How about cloth collision with scene objects? I'm going to work on that next. I've been thinking about it and planning it for quite a while now. I'll keep posting updates on youtube and such. It looks quite helpful to me! Thanks a lot for taking the time to make it. I put my hands on it right away and I let you know how it works to me. soooo nice! Finally Cloth will look great in Blender. I thnk, this is a huge step. Wonderful work! I'm willing to pay or donate at least $30 for such add-on! This is wonderful man, thank you! I'm putting together a feature request list. do the guys in blender.org know about this? This wonderful addon should be spread to others so this project would gain more support and donation. play button not showing in my scene why>?? My play button is not showing either. It's changed a lot since the video. Use "continuous update" for running it all the time. "Animation update" for running when blender animation is running. Collisions are working. Self collisions are still a little wonky but collisions with animated or static objects work pretty well. If you just want to apply the final shape of the mesh, there is a button at the top of the modeling cloth panel that says "Apply to Mesh." It just applies the cloth shape key to the mesh data. I should mention that I'm using Blender 2.76, and the reason for that is because version 2.76 is the only version that Sims 4 Studio will work with (I make stuff for the Sims 3 and 4). Could this be why I can't activate the addon? I'm not enough of a technical-genius-nerd to understand what's happening here, unfortunately.